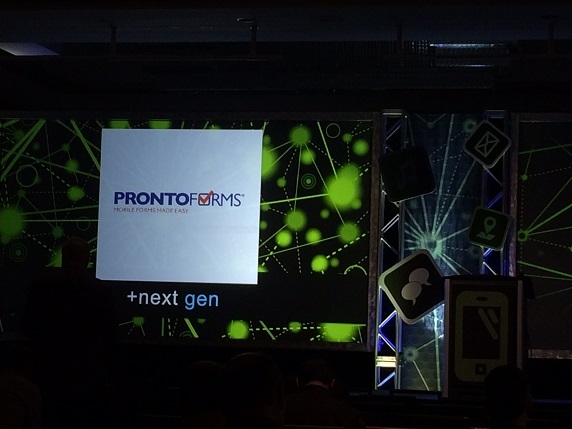 On the final day of the 2014 CITE Conference, the benefits of the ProntoForms mobile form solution were highlighted by Unilever Distributor Development Manager Dharmesh Vadchhedia. Speaking at the mobile IT focused event, Vadchhedia, working in Unilever’s ever popular ice cream division, talked about the deployment of ProntoForms helped to raise Unilever productivity by moving away from paper dependent processes. outside the company. He touted the consumerization of IT and today’s advanced mobile application capabilitiesas key reasons why organizations must explore third party vendor solutions. For Vadchhedia, the focus of companies like Unilever should be on delivering the best products possible, and not on creating in-house business process solutions. As part of his initial vendor mobile solution research, Vadchhedia examined several applications and decided that ProntoForms was the answer for his company’s business processes. For him, it was important that the solution of choice be multi-featured, flexible and offer many data connectivity options. ProntoForms is honored to have been mentioned in Dharmesh Vadchhedia’s CITE Conference presentation, and to count Unilever as an enterprise business customers.